As you guys may know, we recently traveled to Hawaii and had the opportunity to stay at Waikiki Parc. It’s such a beautiful and relaxing hotel and everything about our stay was so perfect. The hardest part about our stay was deciding when to go out and explore and when to stay and enjoy everything the hotel had to offer. Waikiki Parc is in the perfect location, it’s right next to tons of outdoor activities, museums, shopping, and of course, the beach. It was so nice to be next door to so much, but it was also really nice to spend time at the hotel. First off, the guest rooms are so beautiful! We had the most amazing view from our room which made for the most perfect sunrise and coffee mornings out on our balcony. We also got to participate in several morning fitness classes at the pool such as Tai Chi and Yoga. Both classes were so good and the environment made it really easy to unwind. One of my favorite parts about our stay was our breakfast every morning! Waikiki Parc has the BEST breakfast at their hotel restaurant, Parc AM. Parc AM is a buffet so there is so much variety and everything was really good! Guests at Waikiki Parc also have access and signing privileges at the restaurants at their sister property, Halekulani. We had the opportunity to dine over there at La Mer and it was amazing. La Mer is a five-star restaurant renowned for it's French-style cuisine. Everything was so delicious and the atmosphere was really relaxing and romantic. They also have an amazing fitness room and pool for any extra relaxation that you might be looking for. 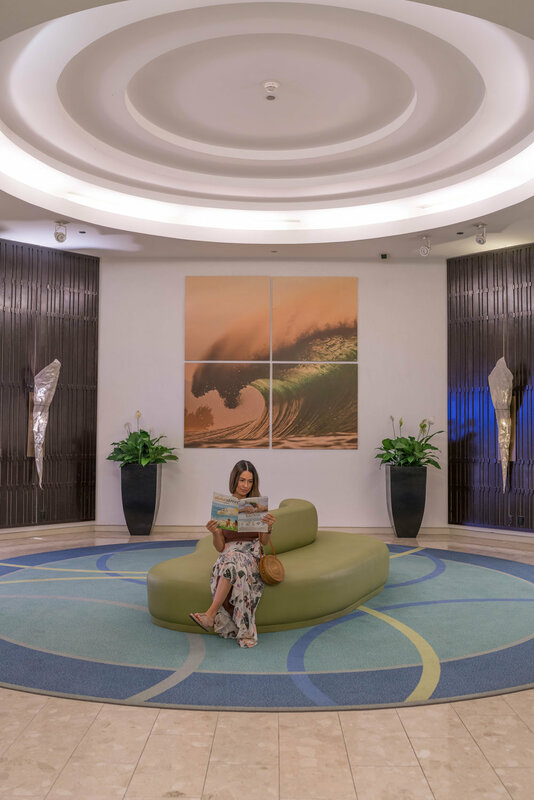 Plus, Waikiki Parc guests also have access and signing privileges at the spa at Halekulani. I would definitely recommend stopping at SpaHalekulani as it is one of Waikiki's most celebrated spas! Next time you find yourself planning a trip to Waikiki definitely visit Waikiki Parc, I promise you’ll love it! You can use my promo code, ccandice, or click here for a complimentary room upgrade on the Parc Sunrise Breakfast package! This package includes their daily breakfast buffet for two and complimentary parking. My code is valid for stays through September 30, 2018. My stay was hosted by Waikiki Parc. All thoughts and opinions are my own.